Above, signage of the dowdy world. Note the note above the tam. My eyes too are rolling. This image reminds me of the cartoonish Scot who graced the signage of a local supermarket food mart that offered "McThrifty" values (before selling out to a chain). 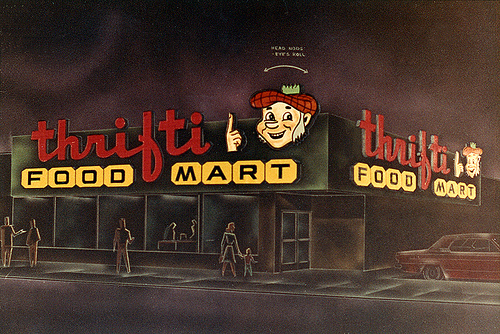 The thrifty Scot seems to have been a familiar figure in grocerydom. Has anyone else seen him? "I am not myself excessively anxious to see him, because it seems, judging by what I was told a short while ago at Mme de Saint-Euverte's, that he would like, before he dies, for me to make the acquaintance of his wife and daughter. Heavens, it grieves me infinitely that he should be ill, but I hope, first of all, that it's not as serious as all that. And, then, that's not after all a reason, because it would really be too simple. A writer devoid of talent would only have to say, 'Vote for me at the Academy because my wife is about to die and I want to give her this last pleasure.' There wouldn't be salons any more if one was obliged to make the acquaintance of all the dying. My coachman could use it on me: 'My daughter's very ill, get me an invitation to the Princesse de Parme's.' I adore Charles, and it would upset me greatly to refuse him, which is why I prefer to avoid his asking me. I hope with all my heart that he's not dying, as he says he is, but, truly, were that to happen, it would not be the moment for me to make the acquaintance of those two creatures who've deprived me of the most agreeable of my friends these past fifteen years, and whom he would leave on my hands at at time when I wouldn't even be able to take advantage of it to see him, since he'd be dead!" It's a happy accident that two of the most self-absorbed legends in the history of jazz — the bassist Charles Mingus and the alto saxophonist Art Pepper — married women who wound up equally absorbed in the preservation of their legacies. The men have been dead now for a quarter-century, yet their widows, Sue Graham Mingus and Laurie Pepper, keep unveiling major discoveries. There are two kinds of moviegoers: those who stay to watch the credits and those who — never mind; they're already gone. If, reader, you go to The Simpsons Movie, stay to watch the credits, and you'll be rewarded with a few surprises. 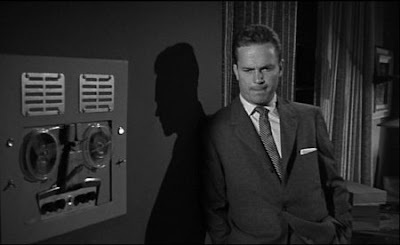 The movie proper has many fine touches, including a well-detailed low-budget motel room (in the Red Rash Inn), a Disney spoof, and a swipe at Fox Broadcasting. My favorite touch: the split-second that evokes the famed George Tames photograph of JFK leaning over a desk in the Oval Office. Blame microscopic alien vampires, or the general shift in media away from papers, but the Weekly World News tabloid will soon only be available online. In recent years my interest in the WWN has faded (so I suppose I've played my own small role in the paper's failure), but I would always pick up a copy when teaching Ovid. My favorite recent WWN metamorphosis: a childless couple whose poodle turned into a boy. Each chef had 75 minutes to prepare her or his entrée using this year's featured ingredient: extra firm tofu. When the dust settled, Greenberg emerged the victor with his entrée, Asian Bento Box, composed of tofu sushi, seaweed and tofu salad, edamame shumai, smoked shiitake spring rolls, mango and ginger tofu smoothie, and miso soup. While Greenberg, who has spent 15 years with the IMU Food Services, felt that some chefs may have chosen not to compete because of their unfamiliarity with tofu, he had no difficulty in making the food his own. "When you work with a product like that, it's a blank canvas; it will take on the flavor and texture of what the chef wants to do," Greenberg said. Morgan Lucero, the meeting and logistics coordinator at the food-service association, said the competition's venue and featured ingredient change each year. "We have a culinary-challenge committee that is made up of representatives from each region, as well as a committee head," she said. "The committee mulls out the suggestions of the chairperson and eventually decides on a protein." The featured ingredient usually follows the theme and locale of the contest. For Seattle this year, the theme was fresh and organic, so tofu was a natural choice, Lucero said. "Next year's theme is striped sea bass and will be in Washington, D.C.," she said. Note: Every dish Mr. Greenberg prepared would appear to be vegan or vegetarian. Like the 2005 releases Thelonious Monk Quartet with John Coltrane at Carnegie Hall and Town Hall, New York City, June 22, 1945 (Dizzy Gillespie/Charlie Parker), Cornell 1964 is a newly-discovered concert recording. And as with those 2005 releases, the performance just happens to be extraordinary. I'm past the two-dozen mark when it comes to buying Mingus recordings, and I think that Cornell 1964 is the most exciting Mingus music I've heard. "ATFW You": Jaki Byard's fleet, witty parade of Art Tatumisms and Fats Wallerisms. "Sophisticated Lady": for bass. Mingus never stopped paying tribute to Duke Ellington. "Fables of Faubus": A Weillian send-up of Orval Faubus, segregationist governor of Arkansas. The lyrics here are, alas, inaudible. (A sample: "Two, four, six, eight, they brainwash and teach you hate.") A very lengthy "Fables," dipping into various streams of musical Americana along the way. Here, as elsewhere, Mingus and Richmond are the most inventive bass-and-drums pairing in jazz, changing tempos and textures and thereby pushing soloists to dig deeper: the rhythm section as personal trainer. "Orange Was the Color Of Her Dress, Then Blue Silk": One of Mingus's most beautiful compositions, with overtones of Ellington, "Blues in the Night," and "Body and Soul." "Take the 'A' Train": I think it's here that everything rises to a very high level of energy. As Clifford Jordan begins his second chorus, Mingus calls to Johnny Coles and Eric Dolphy: "Join in," and the band takes off. Jordan is the great surprise on this performance and on the rest of the recording, playing with greater intensity and freedom than on the European tour recordings (or at least the ones that I've heard). And Coles, who missed much of the European tour with a stomach ulcer, is brilliant here and elsewhere. I'm only now realizing that he was an influence on Lester Bowie, one of my favorite trumpeters. "Meditations": like "Orange," a composition in markedly different sections. Particularly powerful solos from Byard and Dolphy (bass clarinet). "So Long Eric": Twelve-bar blues. Mingus plants the endpin of his bass in the floor, and not for the first time: "Well, we got several holes now." The tempo here is slower than on other recordings of this tune. Mingus calls to Johnny Coles: "Come on, Johnny." He calls to Jaki Byard: "By yourself," and bass and drums drop out. No problem: Byard turns into Art Tatum and Erroll Garner. It's Clifford Jordan's turn to solo: "I know you swing," says Mingus. And before Dannie Richmond's solo: "Go!" Two encores follow, the first featuring "the only Irishman in the band," "Johnny O'Coles." (Note the concert date.) And finally, a giddy, slightly wobbly "Jitterbug Waltz," the elegant Fats Waller melody that Eric Dolphy loved to play. For a newcomer to Mingus's music, Cornell 1964 is a perfect start: three major Mingus compositions ("Fables," "Orange," "Meditations"), some blues, some strong evidence of Mingus's reverence for his musical ancestors, and a charming novelty, all played by what many listeners regard as Mingus's greatest band. Proust: "the azure light of her eyes"
As she walked beside me, the Duchesse de Guermantes allowed the azure light of her eyes to float in front of her, but undirected, so as to avoid the people with whom she was not keen to come into contact, but whom she could sometimes make out in the distance like a menacing reef. Likewise small-town residents navigating supermarkets (azure aside). The primary objective of this website is to preserve and display specimens of American package design from the early decades of the 20th Century. The secondary objective is to establish a community for those interested in such an endeavor. It is my hope that this website will eventually develop into a significant archive of corporate heritage and branding. The Museum features 142 items, beautifully photographed against a dowdy background (fabric? wallpaper?). I'm not sure that everything here is from the early 20th century: I remember the Canada Dry Wink bottle from kidhood. 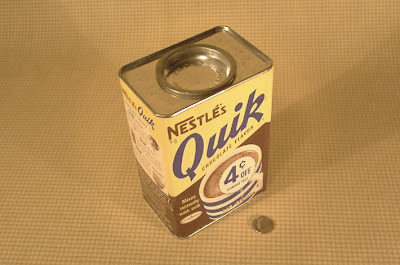 There are several items beginning with q: Q-Tips, Quaker Oats, Quaker Yellow Corn Meal, and Nestlé's Quik (now Nesquik). Well: gelatin, Geritol (yes, they still make Geritol), giblets, gin, ginger, ginger ale, glassware, glue, goat's milk, Goo-Gone, graham crackers, Grape-Nuts, grapes, gum. Gosh, thought I: Google, like the cellphone, really is ruining self-reliance (which you can't buy at Wal-Mart). Then I realized that I'd misread, misled by the underlined search URL in my blog stats. This Google search was for items beginning with the letter q. That's a bit more difficult. Here's what I've thought of: Q-Tips, quad-ruled pads, Queen CDs, queen-size sheets, Quiet Riot CDs, quinoa. And now I'll quit. The negative attitude of the University establishment was not so much directed against his Lamarckian theories, but rather an expression of the usual hostility of the grey birds in the groves of Academe against the coloured bird with the too-melodious voice. Arthur Koestler, The Case of the Midwife Toad (NY: Random House, 1971), 49-50. My friend Aldo Carrasco quoted this wonderful observation on academia in a letter (August 17, 1982). All these years later, I decided to track down its source. Dinah: goddess of short-order cooking. When I was an undergraduate, I was always afraid of a professor with a detailed syllabus. To me, the longer the syllabus, the more work I was going to have to do, and the more thorough the professor was going to be. That isn't always true. But after proofreading so many syllabi, I have concluded that the professors with the most detailed syllabi sometimes did require the most work but were also the ones who seemed most approachable and helpful. [After thinking a bit.] Yes. This post is all I have to offer re: Potter. He'd definitely be interested in a film, yeah. Who else is in it? Fellow who played who? Harry Potter? I've never heard of him. What? Little magical kid with glasses? You know Andy's in his forties, do you? That's — they got someone for him? Okay. Darren: I'd like to talk some business. How do you fancy three days with Halle Berry? Andy: Three days with Halle Berry? Darren: Yeah. Good money; you'd be in and out. Darren: You know, Halle Berry, little magical kid with glasses. Andy: Do you mean Harry Potter? Darren: [After thinking a bit.] Yes. Jessica, Joshua, Susan, Tom: These are not the names that have made me marvel and cut and paste to a text file before emptying my spam folder. The quality of the spam names sent my way has declined of late into a plausible-first-name-only blandness, even if the sales pitches are as arresting as before. If Jessica and Joshua and company had last names, they'd be Dull and Boring. "I'm rather inclined to compare the Kaiser," continued the Prince, whose inability to pronounce the word "archaeologist" (that is, as though it were spelled with a "k") did nothing to stop him from taking every opportunity to use it, "to an old archaeologist" — which the Prince pronounced as "arsheologist" — "we have in Berlin. If you set him in front of a genuine piece of Assyrian antiquity, this old arsheologist weeps. But if it is a modern fake, if it is something that is not really old, he fails to weep. And so, when they want to know whether an arsheological piece is really old, they take it to the old arsheologist. If he weeps, they buy the piece for the museum. If there are no tears, they send it back to the dealer and prosecute him for fraud." The story gets even stranger, with Camembert and hugs. I'm hoping that any of my Homer-reading students who come across this news item pause to think on the ancient Greek practice of ξενία (xenía), hospitality. The Iliad ends with an extraordinary moment of xenía, when Achilles as host treats Hector's father Priam with respect and compassion. The two share a meal before Priam departs with Hector's returned corpse. The Odyssey is a running display of xenía and its opposite: virtually every scenario in the poem hinges upon the practice or abuse of hospitality. And hospitality isn't limited to better homes and palaces: the swineherd Eumaeus acquits himself as a perfect host by offering Odysseus that best that he has: food, shelter, and a cloak to stay warm (almost literally the shirt off his back). What's remarkable in this D.C. story is that one person's quick thinking changed — in a moment, for everyone involved — a dismally familiar scenario into something far more humanly complicated. How odd this robber must've felt to be seen not as a terrifying monster but as a guest. And how odd his potential victims must've felt to be recognizing his need for affection (however chemically induced that need may have been). I'm writing to tell you how much I liked reading The Quitter. I've read the two American Splendor anthologies, Our Cancer Year, Our Movie Year, and Unsung Hero, and I've always found your observations about everyday life funny, rueful, and moving. I think though that The Quitter moves into more difficult territory. It's a courageous move to write the story of your early life as frankly as you have — your teenaged effort to establish your toughness, and the various failed attempts at work and schooling that followed. The overall story reminds me of Proust's In Search of Lost Time: the mistakes and missteps turn out to be the materials of your vocation as a writer. Your collaborations with R. Crumb are my favorites, but Dean Haspiel's art is beautiful and complementary, especially in the way it suggests shadowy brooding, in both the past and present. Will an enlightened publisher someday put out a collection of your writing on jazz, supplemented perhaps by interviews? 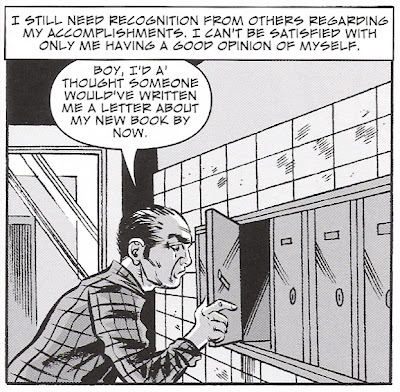 I'd welcome a Harvey Pekar Reader. I hope these words find you in domestic, financial, and creative happiness. Another find while decluttering: The Art-Official Notary and Corporation Handbook ("Important information concerning the duties and functions of notaries public, and useful general data"), with a 1959 copyright. I found this item in an office supply store, just a few years ago, and had to buy it. (Cf. Charlie Brown and his tree: "I think it needs me.") In the early 1990s, this store had 45-year-old pencils still for sale. Amid Smiths and a Doe, one name stands out as genuine. The Social Security Death Index lists no Isidore Charkatz, but it does list an Isadore Charkatz. Mr. Charkatz was born in 1910 and died in 2001. His Social Security card was issued in Maryland, and his residence at the time of his death was Baltimore. I wonder whether his family has a copy of the little book that displays his seal. I bought an Incredible Head yesterday ($4.99), and it's a hit with showerers of all ages. It produces tremendous water pressure, so much so that it's necessary to turn the water way down from its usual setting. 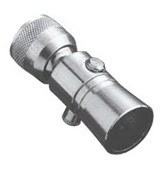 The Head has a button that shuts the water down a trickle — a good way to save even more water while shampooing. The manufacturer's claim that the Head can reduce water and energy costs by as much as 70% seems pretty plausible. Today people of taste tell us that Renoir is a great eighteenth-century painter. But when they say this they forget Time, and that it took a great deal of time, even in the middle of the nineteenth century, for Renoir to be hailed as a great artist. To gain this sort of recognition, an original painter or an original writer follows the path of the occultist. His painting or his prose acts upon us like a course of treatment that is not always agreeable. When it is over, the practitioner says to us, "Now look." And at this point the world (which was not created once and for all, but as often as an original artist is born) appears utterly different from the one we knew, but perfectly clear. Women pass in the street, different from those we used to see, because they are Renoirs, the same Renoirs we once refused to see as women. The carriages are also Renoirs, and the water, and the sky: we want to go for a walk in a forest like the one that, when we first saw it, was anything but a forest — more like a tapestry, for instance, with innumerable shades of color but lacking precisely the colors appropriate to forests. Such is the new and perishable universe that has just been created. It will last until the next geological catastrophe unleashed by a new painter or writer with an original view of the world. Subject-verb disagreement: medley, are. But changing the verb won't help, as it makes no sense to say that the medley is picked. The phrase "packaged into" is cumbersome: the slices are packaged in a bag. There's a general air of overkill. As far as I can tell, all apples are harvested by hand — difficult, painful work. An apple's "best flavor" could probably be had without the addition of vitamin C as a preservative. A "specially designed bag" is a bag, which you already know about if you've bought this item. An "apple crunch" is the only crunch an apple can have. A medley of sweet red and tart green apples, picked at the peak of ripeness. The slices are cleaned and packaged to lock in their juicy crunch. I'd prefer to eliminate the second sentence, but I suspect that it's meant to reassure someone, somewhere, that this product is fit to eat. This post is no. 14 in a very occasional series, "How to improve writing," dedicated to improving stray bits of published prose. That's a Brooklyn number card above. And as a Brooklyn native, I must note that in the Honeymooners episode "The Baby Sitter," Ralph and Alice Kramden's Brooklyn phone number is BEnsonhurst 0-7741. 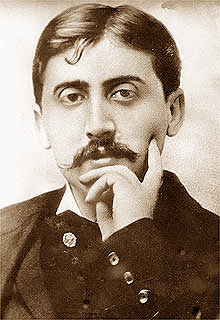 Proust: "like talking to an octopus"
It is illness that makes us recognize that we do not live in isolation but are chained to a being from a different realm, worlds apart from us, with no knowledge of us, and by whom it is impossible to make ourselves understood: our body. Were we to meet a brigand on the road, we might manage to make him conscious of his own personal interest, if not of our plight. But to ask pity of our body is like talking to an octopus, for which our words can have no more meaning than the sound of the sea, and with which we should be terrified to find ourselves condemned to live. "Soy sauce, like vibrato, covers a multitude of sins." "We are in a cage in a car trunk, awaiting a future in frozen food products." There are many wonderful things in Ratatouille, including a genuinely touching moment that evokes Proust's idea of involuntary memory. If you'd like to replace the dull first two digits of your telephone number with an authentic and evocative exchange name, Robert Crowe at the Telephone EXchange Name Project has reproduced a 1955 Bell Telephone Company list of approved names. 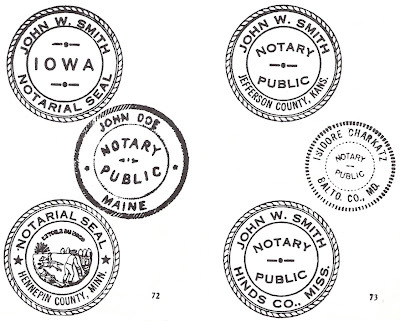 Says the TENP: "If you do not have a historically accurate exchange name to use for your current telephone number, you should choose one from this list." I'm set to go with FIrestone 5-, authentic, evocative, also alliterative. I still remember MUrray Hill 7-7500 from the commercials for Gimbels Custom Reupholstery that ran on New York's WPIX-TV on weekday mornings. Cartoons and the Little Rascals at 7:00 a.m., and they were trying to get people to think about reupholstering furniture? "This is CRestview 5-4124. Mister Hammer, whom you are calling, is not available at present. If you wish to leave a record of your call, please state your message at the sound of the tone." When I think about what the word cover is supposed to mean, I think of the joke scenario of tourists rushing from one landmark or museum to another, determined to "see" (or better, "have seen") each one so that they can cross it off their list and get on to something else. But the desire to "cover" or "get things done" is antithetical to genuine appreciation of places or works of the imagination. (And I'm reminded that one of the meanings of cover is "to hide from sight or knowledge.") The real work of seeing might be thought of as a matter of uncovering, which takes time and extended attention. That's the mindset of the museum-goer who looks at just a handful of works and leaves the museum having had an authentic experience of looking at art. And who then keeps looking, again and again. Don Chance, a finance professor at Louisiana State University, says it dawned on him last spring. The semester was ending, and as usual, students were making a pilgrimage to his office, asking for the extra points needed to lift their grades to A's. "They felt so entitled," he recalls, "and it just hit me. We can blame Mr. Rogers." Fred Rogers, the late TV icon, told several generations of children that they were "special" just for being whoever they were. He meant well, and he was a sterling role model in many ways. But what often got lost in his self-esteem-building patter was the idea that being special comes from working hard and having high expectations for yourself. Only someone with a cursory knowledge of Mister Rogers' Neighborhood would make this claim. Hard work and high expectations? Consider the many visitors to the neighborhood who talk about and demonstrate their hard-earned abilities: violinist Itzhak Perlman and gymnast Chaney Umphrey, for instance. Or consider the ways in which Mister Rogers himself bumbles and struggles when trying to learn a new skill (often, as I remember, in Negri's Music Shop). Consider too that being "special" is something that comes with a context: "You are my friend. You're special to me." That's a statement not about innate grandeur but about the way someone else sees you. What I always hear in Mister Rogers' closing words is something quite different from an encouragement to narcissism: "There's just one person in the whole world like you. And people can like you just the way you are." In my ears, those words sound as a reminder of the beauty and mystery of individuality, offering consolation to children whose circumstances — clothes, speech, family situation — put them at a remove from others. Self-esteem is busting out all over, but I think there are more likely causes to finger. Stay out of my 'hood. We constantly strive to give our life its form, but by copying, in spite of ourselves, like a drawing, the features of the person we are, not the person we should like to be. Time has come for me to leave you. 'Tis the moment for goodbye. Ah, my sweet, we have to part now. Please brush your tears from those dear eyes. We have shared so much together. 'Tis not the end but a new start. Ah, my dear, I'll always love you. You'll be forever in my heart. Here is a puzzling piece of paper, 3 9/16" x 4", found in a 1967 paperback, The Olympia Reader, a sampler of works published by the Olympia Press. I no longer know how I acquired this book — most likely at a library sale. This list is almost certainly a preparation for a short trip — I can't invent another context in which these items fit. Whoever composed the list is an orderly person: five groups, checkmarks for almost all items, long lines through the groups. The red checkmarks might suggest the hand of a teacher. The drugs and remedies on the list — more items of this sort than of any other — suggest a difficult life. These are the items the listmaker is careful to get down first and, I suspect, cannot imagine leaving home without. 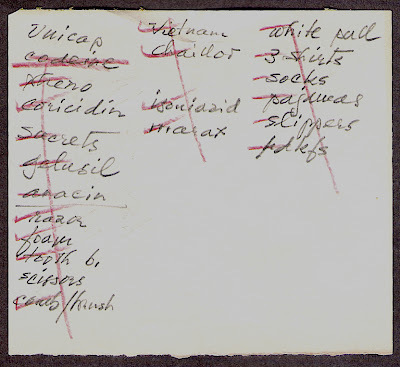 The first item, Unicap, might suggest what used to be called a health nut: not many packing lists begin with vitamins. It's the second item that startles: codeine. But there's a red line through it: has it been checked off, or crossed off? Is the listmaker now resolving to do without it? Most of the medicinal items that follow suggest everyday woes: headaches, colds, stomach ills. Perhaps this traveler wants to be prepared for anything. I cannot make out the third item — xtreno? But look at the middle column: Isoniazid is used in the prevention and treatment of tuberculosis. Marax (evidently no longer available) relieves the symptoms of bronchial asthma. The toiletries group makes me think that this list belongs to a man: razor, "foam," no makeup. (Cf. Lisa Fremont (Grace Kelly) in Alfred Hitchcock's Rear Window: "Why, a woman going anywhere but the hospital would always take makeup, perfume, and jewelry.") Scissors are a puzzling addition — to trim a mustache? to cut fingernails? Those are tasks one could take care of before a trip. Wherever the listmaker is traveling, there must be toothpaste and deodorant, which seem conspicuously missing from the list. But there won't be shaving cream. The most puzzling part of this list comes last. It's conceivable that a man might wear one pair of pants for three or four days. But where are his t-shirts? Where are his boxers, or briefs? These omissions seem odd with a traveler finicky enough to pack slippers and handkerchiefs (and scissors). For a long time I thought of this list as a hypochondriacal prelude to a summer weekend trip. But there's no suntan lotion, no tennis racket, no camera. More recently I've wondered if the writer might have been preparing for a stay in a hospital or sanitarium. But the pullover and shirts don't fit that scenario. No one's home, or at least no one who can answer my questions. Proust has a fondness for listing items in series. These collocations are always surprising and exciting in their inventiveness, their heterogeneity, and their precision. A gesture of Françoise's: "modest, furtive, and delighted." A group of noblemen: "obscure, clerical, and narrow-minded." A marquis in a metaphorical aquarium: "venerable, wheezy, and moss-covered." The elements holding together the "ephemeral panorama" of aristocrats at the theater: "attentiveness, heat, dizziness, dust, elegance, and boredom." "Man, I got new tennis shoes, new shoes, new blacks, new browns; I'm all set up!"